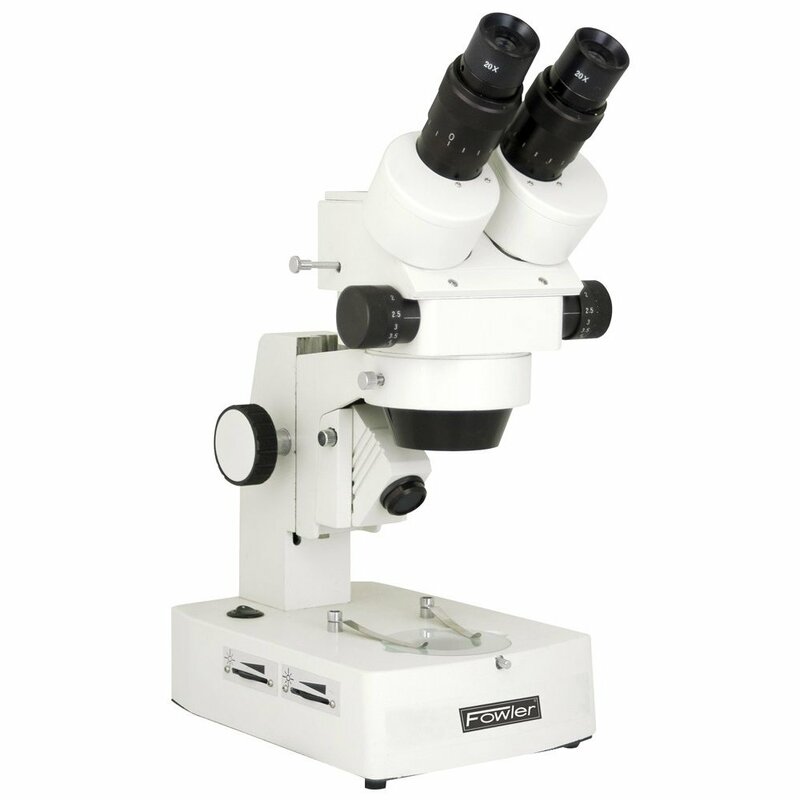 Fowler offers a variety of Stereo Zoom Microscopes. While the microscope is in focus, the magnification may be changed to suite the specimen. The zoom objectives of the instrument change the magnification continuously, covering a range of 7X — 45X or 7.5X — 34X (with standard 10X eyepieces). Stereo Zoom Microscopes are used in the electronics and precision machine industries for assembling and inspection of products. They are suitable for micrography and observation of fine structure of irregular bodies because of their high resolution and clear imaging within a broad field of view. They are also suitable for educational purposes in schools and hospitals and in agriculture, forestry, medical service, geology, archaeology and biology fields. Binocular head can be rotated a full 360° and locked into any position desired. Includes 10X eyepieces and eyecups.